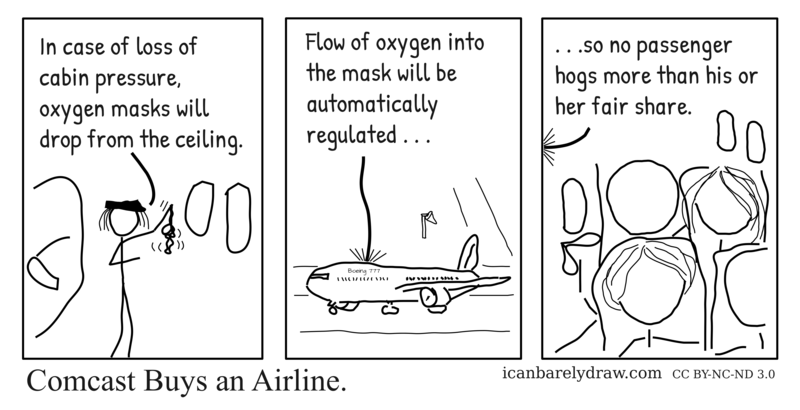 Flight attendant: In case of loss of cabin pressure, oxygen masks will drop from the ceiling. 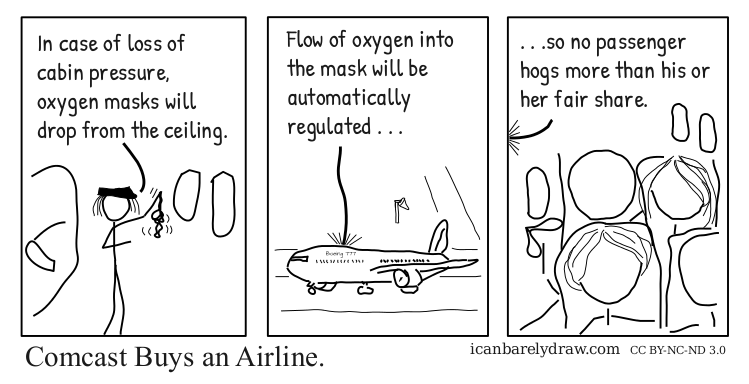 Flight attendant: Flow of oxygen into the mask will be automatically regulated . . . Flight attendant: . . .so no passenger hogs more than his or her fair share. Title: Comcast Buys an Airline.